May 25, 2014 – revised and updated this post. http://tinyurl.com/4dedotr Anleitung 3 Puncetto Kästchenreihe und neuen Faden anschlingen. 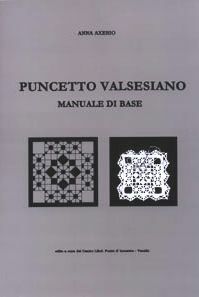 Puncetto Valsesiano belongs to the tradition of Mediterranean and Eastern European freehand knotted needlelaces such as Armenian, Bibilla, Chebka from Tunesia, Oya, and several Greek variations. 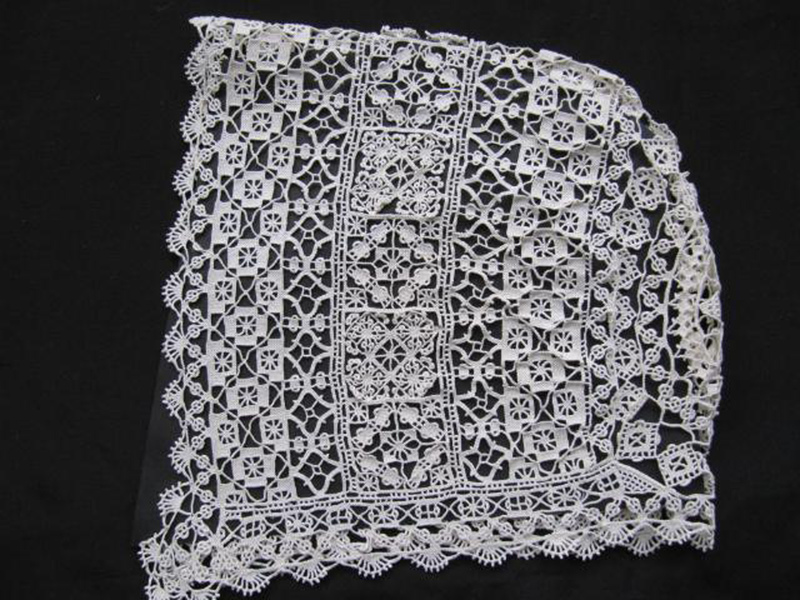 This lace is native to areas in the northern Italian Piedmont, and the site http://wp.me/p12Zh8-2i contains information direct from that region. An exhibition of this lace in Fobello can be seen at http://tinyurl.com/n4rhqta. Puncetto has a characteristically rectangular look, and was traditionally made as straight insertions to join two pieces of cloth. This rather rigid geometry is still evident when the lace is made as an edging with triangular or square peaks, and artists often make wonderful use of color. Puncetto can also be made in round motifs which can get quite elaborate, although still using rectangular elements in the different rounds. The use of the knotted stitch gives this lace a rather nubby texture, as opposed the smoother surfaces of laces using twisted buttonhole stitch variations- also part of the great Italian needlelace tradition. Technically it is worked without a marked pattern, and builds on a straight base thread or adds to the row below. It an be worked from right to left or left to right. Puncetto uses the Continental needlelace hand position, where the tip of the needle works away from the body (as contrasted to the English position where the needle tip is drawn toward the body). A wonderful demonstration in an oft-cited video can be found at http://tinyurl.com/6bdewz. A second, much lesser known video is available at http://tinyurl.com/4po9nn4. Avital correctly points out that Punto Valsesiano is little documented, but with improving internet resources more is becoming available. Unfortunately the resources on the Lace Fairy site are now gone, because Lace Fairy is no longer supported. 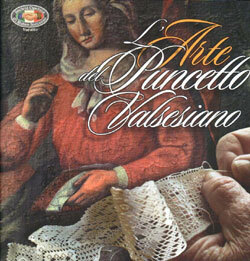 Italian Needlelace has excellent information, and also reminds us of an older name for this work, Punto Avorio. As with many laces that were originally used to join or edge clothing or household linens, it is typically made with heavier thread. This, along with the tightness of the work and certain finishing techniques gives the lace the appearance of finely carved ivory, at least from a distance. 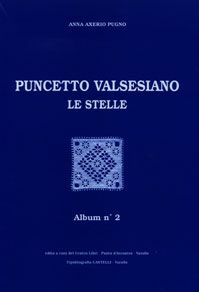 Google Images does what it can in searching for Puncetto Valsesiano, with a few productive images. Written material on this lace has always been around, but not in much volume. There seem to have been three main periods in which this lace is publicized. 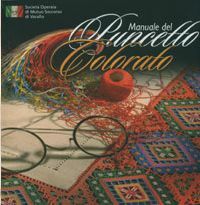 The 1884 DMC Encyclopedia of Needlework mentions Italian Punto Avario briefly. 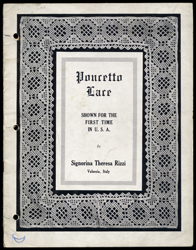 The undated “Poncetto Lace” by Signorina Theresa Rizzi of Valsesia is an excellent resource. Google books is actually of help here, pointing to a US catalog of copyrights which dates either this or a similar work to 1917. In 1926 Margaret Johnstone wrote an article for the Needle and Bobbin Club called “Ragusa: The Mystery Spot in Lace-History”, in which this lace is incorrectly attributed to Ragusa. It is noteworthy that some of the collection of lace which illustrated this work was sold on Ebay a few years ago, and other pieces are in the Met. In the 1960’s and 70’s, two unexpected sources have technical information – the Anchor Manual of Needlework (chapter 21), and the old Golden Hands publication (Part 5/Vol 1, Part 6/Vol 1, Part 36/Vol 3). Anchor was first published in 1958, although the exact origins of the chapters are obscure. It may be a collection of earlier individual publications, but the primary purpose of the book was to sell Coats & Clark thread. 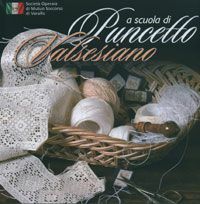 The information in several chapters, such as Burano Lace, Puncetto, and Orvietto crochet is excellent, and must have been organized by authors close to the source. – Paola Scarrone and Angela Stefanutto, “Manuale del Puncetto Colorato”, See Avital’s review of this book at http://tinyurl.com/3tbr295. 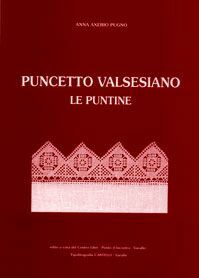 – A. Petterino Camaschella, “Il manuale del Puncetto Valsesiano”, 1992, Valsesia editrice. 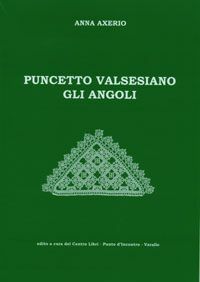 Recently reprinted as (I believe) “A Suola di Puncetto Valsesiano”, 2009. Many of these works can be purchased at Italian Needlecrafts, or from the Tombolo & Disegni site at http://tinyurl.com/4ao3kqp. Thanks for the informative write-up! 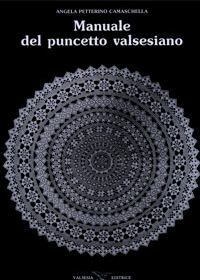 I’d like to clarify a small point about puncetto being in the tradition of bibille, oya, and Armenian lace; those knotted laces use a double knot (thread forms a figure-8 around the needle). Puncetto and cebka use a single knot. No wonder it’s such a durable lace! I’m thinking less of the basic stitch structure of these laces, and more about how they are part of a ‘freehand’ needlelace tradition. Needlelaces constructed essentially without an attached pattern. In this sense Chebka might not fit into the scheme, since it can be made on a pillow with a base pattern. Puncetto is quintessentially freehand, with a hand position very similar to that used by the great Continental lacemakers. Just no attached pattern. There is in principle no reason that any of these laces couldn’t combine various types of stitches. I think the freehand characteristic is the more fundamental quality.